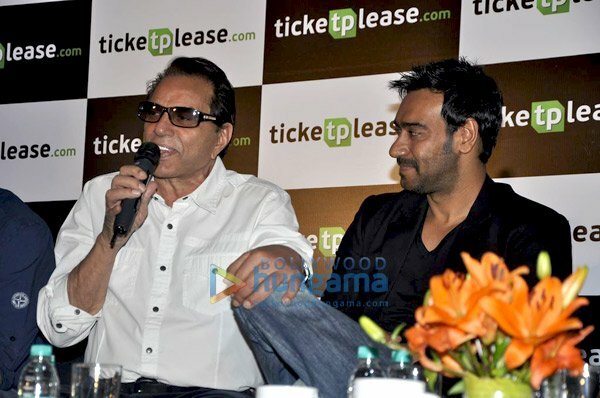 Dharmendra, Sunny Deol, Ajay Devgan and Vatsal Seth Ticketplease.com launch at JW Marriott, Mumbai. Bhavna Somaiya, who is editor-in-chief of ticketplease.com, played the perfect host for the event. Also present at the event, entrepreneurs, actor Ajay Devgn, producer and filmmaker Nitin Manmohan, CEO and founder, Jimmy Mistry, Rama Kant Tibrewal, Amit Sharma and actor Vatsal Sheth.